JOHANNESBURG, May 15 (Reuters) – South Africa aims to finalise a third version of a hotly contested mining charter in June, mines minister Gwede Mantashe said on Tuesday, later than the government had predicted last month. The government and miners have been locked in difficult negotiations over the charter, which lays out requirements for black ownership levels and other targets, after the industry opposed revisions proposed by Mantashe's predecessor. 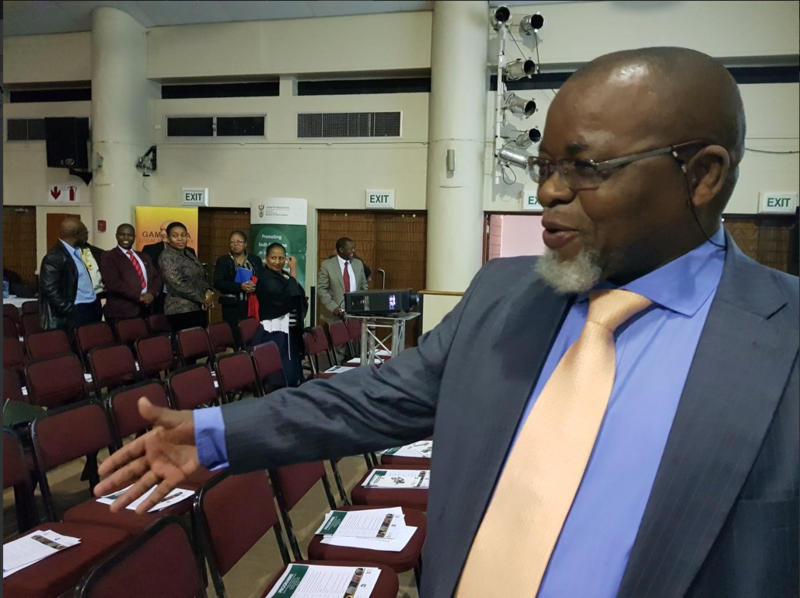 "We aim to finalise and gazette the mining charter in June, having taken on board inputs and concerns from stakeholders across the country," Mantashe said in a speech to parliament, a copy of which was distributed by the communications ministry. South Africa's mining industry has been grappling for years with depressed prices, outbursts of labour and social unrest and policy uncertainty. The charter's controversial areas included raising the target for black ownership to 30 percent from 26 percent.